2. Maintain or enhance the social and economic wellbeing of workers. 3. Identify and uphold Indigenous Peoples’ legal and customary rights of ownership, use, and management of land, territories and resources affected by management activities. 4. Contribute to maintaining or enhancing the social and economic wellbeing of local communities. 5. Efficiently manage the range of multiple products and services of the Management Unit to maintain or enhance long term economic viability and the range of environmental and social benefits. 7. Have a management plan consistent with its policies and objectives and proportionate to scale, intensity and risks of its management activities. 8. Demonstrate that, progress towards achieving the management objectives. 10. Management activities conducted by or for the organization for the management unit shall be selected and implemented consistent with the organization’s economic, environmental and social policies and objectives. Wood products and paper packaging that originate from an FSC certified forest (called Management Unit) can carry the FSC logo. This FSC certificate is only issued to forest owners that comply with the 10 principles above, and pass on-site inspections by FSC accredited partners. 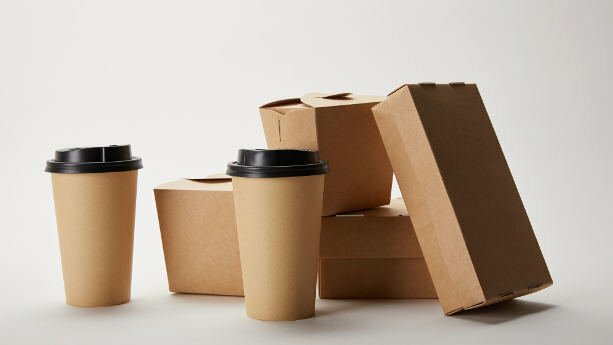 For example, a product packaging supplier must source raw materials from a company with a Forest Management Certification in order for you to use the FSC logo on your packaging. The CoC certificate is issued to companies buying raw material or pulp originally supplied by the forest owner. 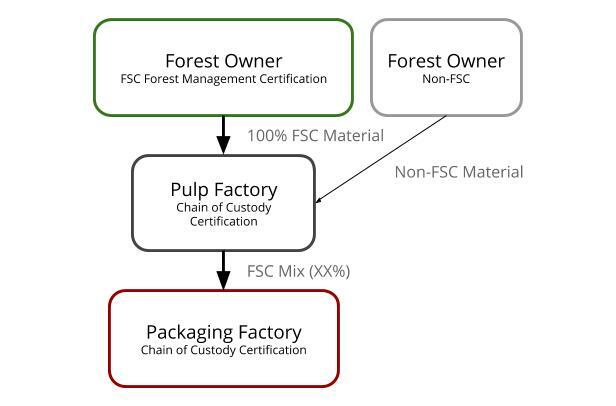 The FSC Chain of Custody Certification tracks the raw materials through invoicing and tracking labels – to ensure that it originates from a forest owner with FSC Forest Management Certification. 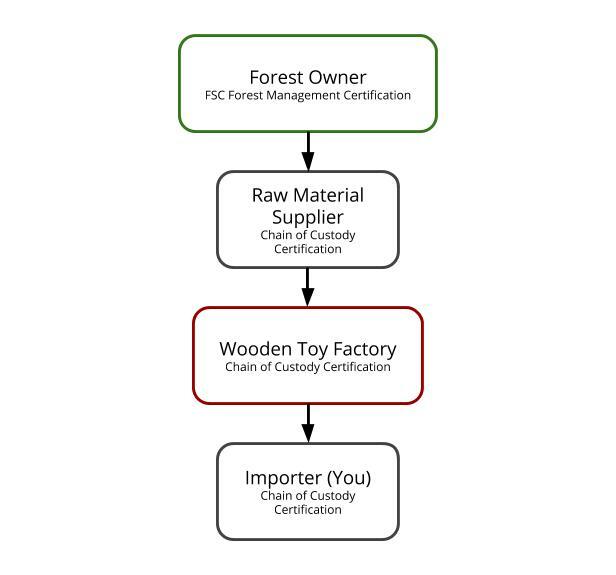 This can be relatively complex, as the supply chain involves several companies before the timber is processed into, for example, product packaging or wooden toys. Each company must also comply with the FSC-STD-40-004 Chain of Custody Certification standard, which sets standards for each operator’s internal material management system. The purpose is to ensure that raw materials from non-FSC certified forest don’t carry the FSC logo. FSC Mix: The product contains material from both an FSC-certified forest and of non-FCS origin (although some restrictions are still in place for the non-FSC material). As mentioned, the mix is tracked through the invoicing process. For example, the material supplier must state the composition of both FSC certified and non-FSC certified raw materials in the invoice issued to your supplier. You can only use the FSC logo if you buy products from an FSC COC certified supplier, or if your company becomes FSC COC certified. Whether or not you need to be COC certified depends on whether you alter the product design and materials. There’s no need to become FSC COC If you buy a finished product from a supplier with FSC COC certification. However, you still need to apply for an FSC trademark license and you are not allowed to make any design changes. You must be FSC COC certified to use the FSC if you make design changes to existing products or order products that are manufactured based on your design specifications. This is the case even if your company is only buying products from a manufacturer. FSC COC certification is required even if you only change the logo and product packaging. 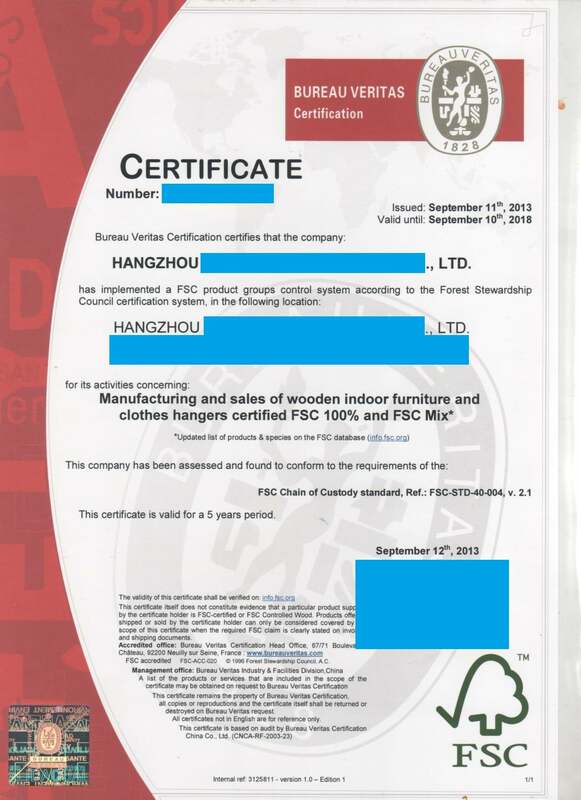 How do I know if a supplier in China is FSC COC certified? All certified suppliers can provide a verifiable FSC COC Certificate, issued by a third party such as Bureau Veritas. Is the company name matching your supplier’s company name? Is the product and/or material matching your product? Note: The FSC COC Certificate is either invalid or non-applicable to your business if the answer is ‘no’ to any of the questions in the document checklist. You can enter the COC certificate number in the public FSC database to verify if the document is authentic. I recommend that you always do this when assessing new suppliers. Alibaba.com allows you to filter suppliers based on various company and management certificates, including FSC. This option is found in the lower left sidebar, and can quickly help you filter out suppliers claiming to be FSC certified. That said, you must still obtain and verify their FSC COC certificate. Globalsources.com, another major B2B supplier directory, also has the option to filter suppliers based on company certificates, FSC included. FSC certified suppliers are always proud to showcase their capabilities and tend to place their FSC certificate in their booth. Keep an eye out for the FSC logo and you’ll find plenty of suppliers next time you visit the Canton Fair. FSC requires that the entire supply chain, from forest to finished product, is intact. As such, there cannot be a single missing link (e.g. non-FSC COC certified party) in the supply chain. As such, you can only use the FSC logo if the trading company is also FSC COC certified – which is extremely rare. The trading company cannot use an FSC COC certificate issued in another company’s name.